How do you import Linkedin data to automatically build your profile and network? 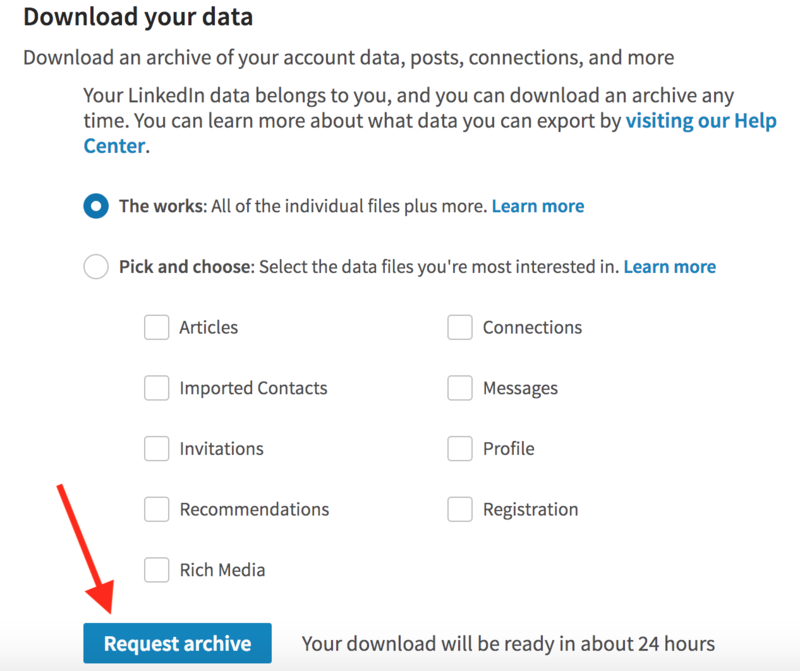 To do this, all you need to do is download a data file from your LinkedIn account, upload it to our site and we’ll take care of the rest! Simply click “Import from LinkedIn” and follow the steps! You can also import your Google Contacts if you wish. After the upload is complete, you’ll be able to automatically add your network and fill in your workID profile.